I decided to host tonight's party and will keep it up until Friday for anyone who is around. I will be scarce for the next week or so spending time with my family for the holidays. I wish you all a very happy holiday season. 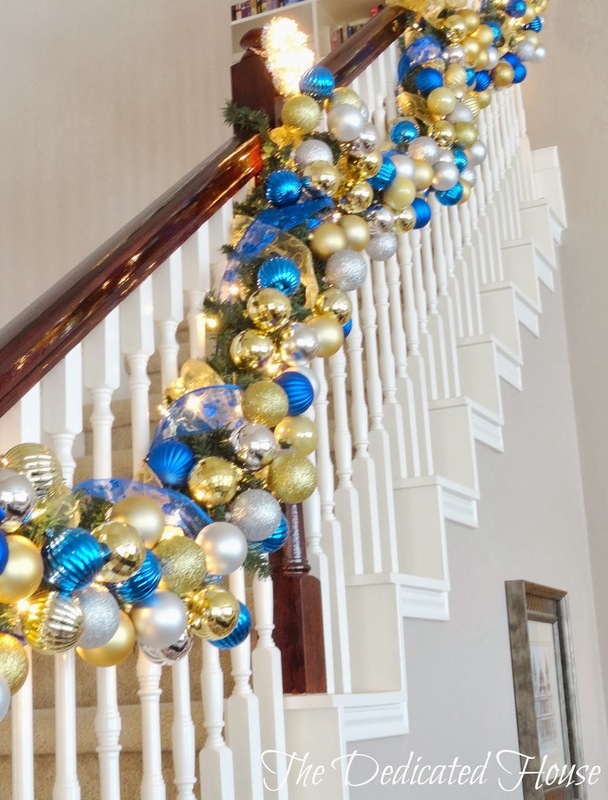 The Dedicated House showed off her beautifully glittered garland she created. So festive! Tablescapes by Diane shared a beautiful tablescape featuring poinsettias. Beautiful. Kathy from Creative Home Expressions transformed a lamp shade and reinvented it with this gorgeous toile fabric and trim. She gives a great tutorial as well. Beautiful job Kathy! Leopard and Plaid created these Anthropologie inspired snow globes. Love them! 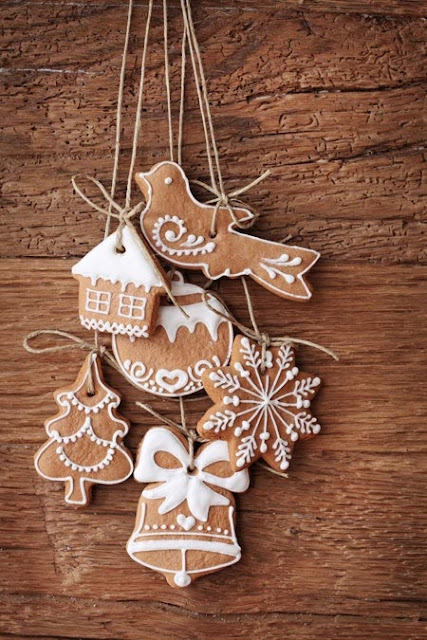 Heaven's Garden shares a recipe for gingerbread cookies. 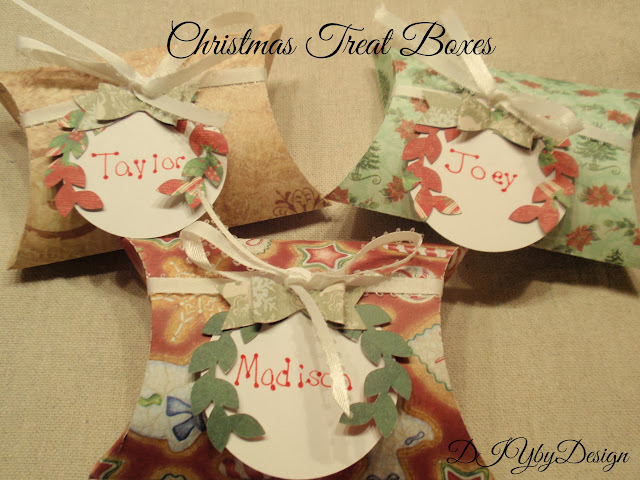 I love the idea of using them for ornaments. We host Christmas Eve, so I have been putting the finishing touches on everything getting ready for the big night. To save time tomorrow, I set the kids table tonight. The chocolate owl placecards from Thanksgiving were a big hit, so I wanted to do something with chocolate for Christmas as well. I used my Silhouette machine and found this in their online shop. I had double sided Christmas scrapbook paper I bought last year which worked perfectly. After everything was cut out, I started assembling. I made little chocolates and put them in little snack bags. I was able to fit three in each box. and put it under a cloche. Everything looks a little more special under a cloche. Hope you all have a wonderful Christmas and holiday season. 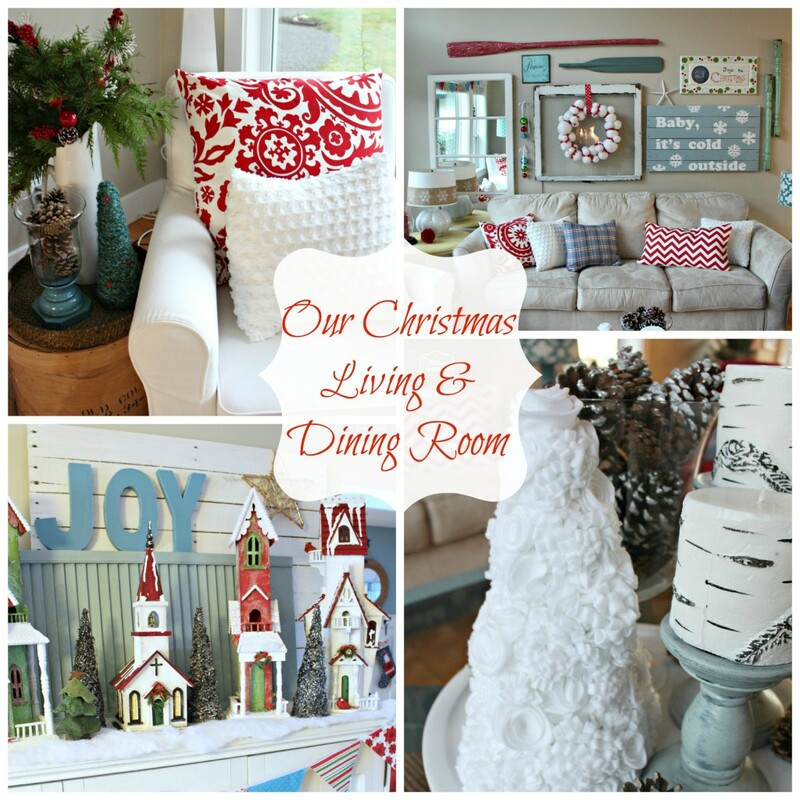 The Happy Housie shared a Christmas tour of her living room and dining room. Just beautiful. Corner of Plaid and Paisley shared her beautiful mantel. 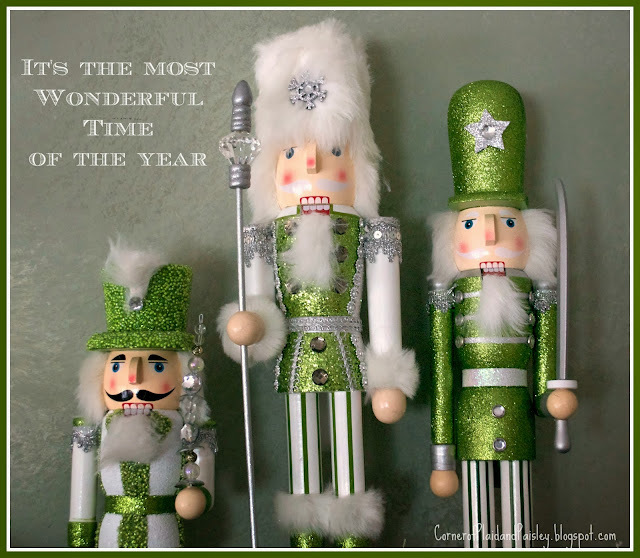 She went with a nutcracker theme this year. Love the color scheme. An Extraordinary Day shares a tutorial on how to create these super cute paperback book Christmas trees. 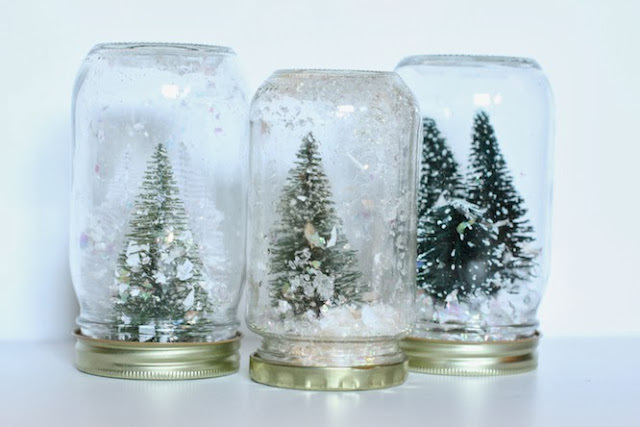 The Two Seasons shared a tutorial for this Anthropologie knock-off. Love it! I just love these NOEL yarn letters that Grace Lee Cottage created. I definitely want to make these. Follow Me Fiona shared a tutorial on how to create this beautiful wreath.